It’s not a secret that I’m a huge Clinique fan. Ever since I re-discovered the brand some years back, I’ve finished up at least 3 large-sized pots of the MOISTURE SURGE EXTENDED THIRST RELIEF and a few of the ALL ABOUT EYES eye cream as well. So when Clinique invited me to check out their new Moisture Surge Hydrating Supercharged Concentrate, I said yes. How could I resist that pretty pink thing? I spoke with Monica, a brand rep with Clinique, and learnt that this concentrate is meant to be used on top of your moisturiser so as not to break the Cleanse-Tone-Moisturise routine that Clinique lives and breathes. A quick check of the ingredient list showed no alcohol, which means it’s all ready to go on my skin! This new product has been formulated with vitamins C and E to help protect against oxidation of the skin and keep free radicals away. 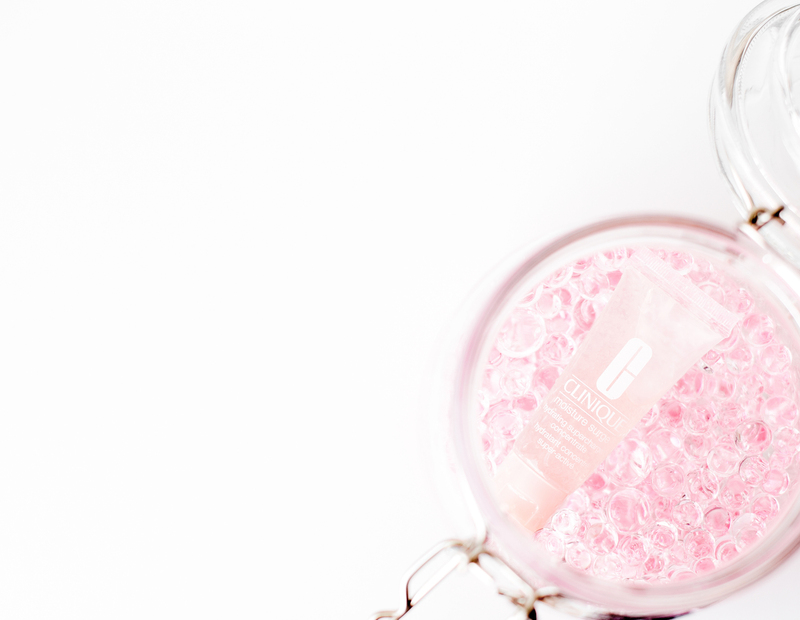 The new Liquid-Sphere Technology also helps to seal in hydration and boost your skin’s moisture retention like never before, which is why you use it in conjunction with your moisturiser. My current moisturiser is actually one from NARS, which has a texture very similar to the Moisture Surge one, so I’ll be trying this concentrate out on top of it. I like that this doesn’t have fragrance as well, so try as hard as you can, you won’t smell a thing. The concentrate comes in two sizes – a 15ml one ($25) exclusively at Sephora stores nationwide in Singapore, and a 50ml one ($79) at all Clinique counters and Sephora stores. There is also a men’s version, and it comes in a blue packaging. Gender biases aside, I think this duo will make for a great couple bathroom addition. Clinique very kindly gave me two sample-sized products to go with the sample of this concentrate, and what luck! 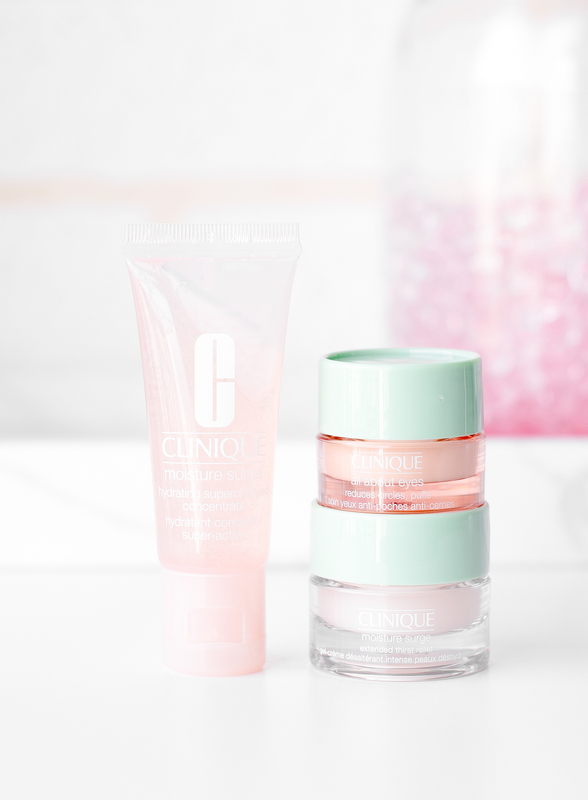 They are my two favourite Clinique skincare products. The moisturiser will protect my skin from the sudden change in climate when I travel to Paris (I swear by it), and the sizes of both samples are just right for a 2-week trip. In any case, given that I talk so much about travelling to France, how is it that I’m still not there yet? Get Maximum Hydration with the Clinique Moisture Surge Hydrating Supercharged Concentrate was last modified: May 24th, 2017 by Roxanne C.